Childhood adversity is known to have an enduring effect on health outcomes of victims. 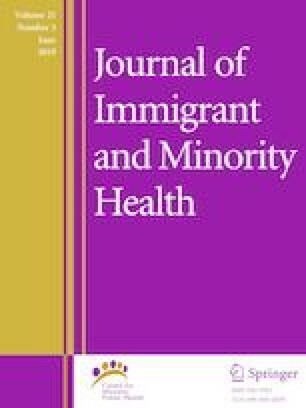 The objective of the study was to examine the association between childhood adversity and psychosocial health outcomes among immigrants in Canada. Using descriptive and inferential statistics and fitting negative loglog regression models to the 2014 General Social Survey, the paper examined the relationship between experience of childhood adversity (i.e. physical and sexual abuse before age 15) and its association with psychosocial health outcomes (i.e. psychological-mental condition and self-rated mental health) among immigrants in Canada. After accounting for relevant socioeconomic and demographic factors, the results show that physical abuse during childhood resulted in 29% and 31% increased likelihood of having a psychological mental condition and poor self-rated mental health, respectively. Also, sexual abuse during childhood was associated with 28% increased likelihood of poor self-rated mental health. In conclusion, the findings show that experience of physical and sexual abuse during childhood is associated with negative mental health outcomes in later life. This project was supported by generous funding from the Connaught New Researcher Award from the Connaught Fund. The GSS was approved by Statistics Canada institutional ethics review board. Ethical approval is not required for a secondary analysis of the public use microdata files of the GSS. The data used in this study does not contain information from human participants performed by the authors. Statistics Canada. 150 years of immigration in Canada. 2016. Available from https://www150.statcan.gc.ca/n1/pub/11-630-x/11-630-x2016006-eng.htm. Statistics Canada. Dataset: General Social Survey, Cycle 28, 2014 [Canada]: Victimization, Main File [Internet]. 2016 [cited 2018 Dec 24]. Available from: http://odesi2.scholarsportal.info/webview/velocity?mode=regression&analysismode=regression&v=2&study=http%3A%2F%2F142.150.190.128%3A80%2Fobj%2FfStudy%2Fgss-12M0018-E-2014-c-28-vmf&regMod=corr.